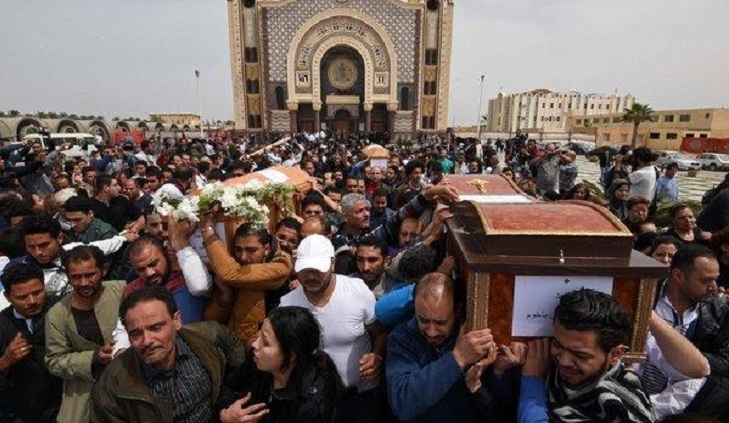 El-Masry said the defendants were tried for their involvement in a suicide bombing inside a Cairo chapel adjacent to St. Mark's Cathedral, the seat of Egypt's ancient Coptic Orthodox Church, in December 2016. The attack killed at least 25 people. In Egypt, civilians accused of attacking members of the armed forces are tried before military courts, but civilians involved in militant attacks against civilians also face trials in military courts. Human rights groups criticize these trials for their hasty procedures, harsh sentences and limited transparency. The verdicts can be appealed, but any appeal would return to another military court. Egypt has faced an Islamist insurgency since the 2013 removal of Muslim Brotherhood-affiliated President Mohammed Morsi. Retaliatory attacks have damaged or destroyed dozens of churches throughout the country. Security forces have struggled to contain militants led by an affiliate of the Islamic State group in the northern region of the Sinai Peninsula, but attacks on the mainland have also occurred.